In this 4-part Beginner´s Guide series I take a look at Web 1.0, Web 2.0, Web 3.0, and xWeb or the extended web. What are they, and what do they mean for teachers? First Web 1.0 vs Web 2.0. Let´s start from the beginning. In the beginning we had the static web, the one of web pages telling or selling us stuff. Think Encyclopedia Britannica online: a set of facts written by experts, available online for consultation. That´s Web 1.0. Then along came Web 2.0. Things started to change. No longer did you need to pay hefty subscription fees to access Encyclopedia Britannica online. Now you could go straight to Wikipedia, and find the information for free (found in one study to be just as accurate as Encyclopedia Britannica). And not only was Wikipedia a mine of free and mostly accurate information, you could even add to this fund of knowledge yourself! If you were knowledgeable about the origin of the heavy metal umlaut, you could now share that knowledge with the world via Wikipedia! And many people did. And still do – the reams of discussion generated in Wikipedia about the heavy metal umlaut shows it is clearly a subject dear to many people´s hearts. This then is the essence of Web 2.0. The user as generator of web content, the new ´prosumer´ (producer and consumer). Wikipedia, You Tube, Face Book, Twitter – these are just the headliners. There are literally thousands of Web 2.0 tools out there, many of them free. Of course Web 1.0 hasn´t disappeared. There will probably always be a need for some static content on the web. The basic facts about the heavy metal umlaut are unlikely to change. 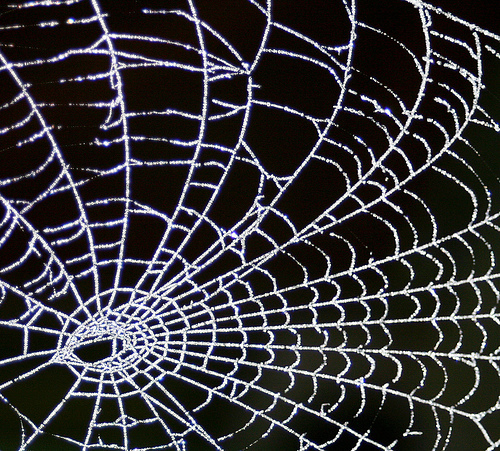 Web 2.0 is best seen as an evolution of Web 1.0, not a replacement. Clearly teachers need to be using technology in their classrooms by this stage of the game. And this needs to be in a principled and consistent way, not just bunging some technology into a class for the sake of it. Web 1.0, with its emphasis on static content, fits in extremely well with a chalk and talk, delivery-driven, transmission-based model of teaching. No need to change anything – instead of writing things on the board, stick your text/list of prepositions/model sentences/picture prompts in a Word document or PowerPoint. Instead of having students attend lectures, record some audio podcasts and let your students listen to you on the bus. Instead of doing a reading from the coursebook, let your students read from a website. All fine, and very traditional, but it seems to me to miss out completely on the power of new technologies – Web 2.0 technologies – to engage learners and have them produce content. Students can hardly be expected to get excited by the uses described above. Although it´s a logical way for teachers to start using technology, you need to make sure you don´t get stuck here. So while there may be a place in the classroom for Web 1.0, teachers should also be integrating some of the tools offered by Web 2.0. In my next post I look at this in more depth. In the meantime, what uses of Web 1.0 technology/approaches in the language classroom can you share here?